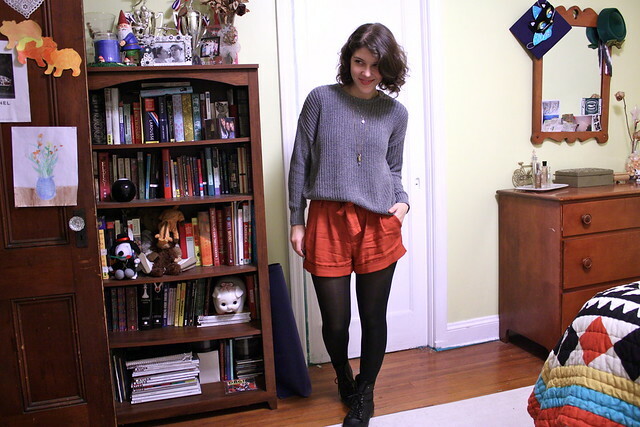 I really like the contrast between the knitted baggy sweater and the shorts. Cute! 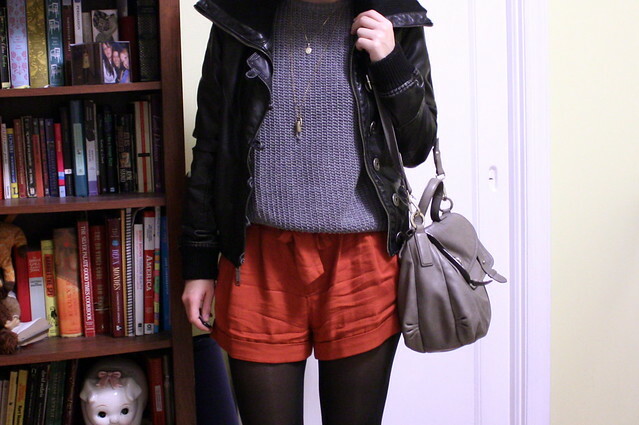 love those shorts, and the jacket is the perfect addition! That outfit definitely looks super comfy, and it looks great on you. great sweater and shorts! you look ready for cold weather. too bad its like 60 degrees. ugh. Oh that sweater looks warm! I love the boots and shorts, too. What a lovely colour. I have a pair of shorts like those =) love how comfy they are!! -Vhttp://stylishlyme.com/PS: Beautiful silk scarf giveaway on my blog, please pass by to enter! I love your bedspread. And I have to say, the pegboard in the closet is a fabulous idea.